construction industry news magazine Archives - C-I-T | Manufacturing Innovation. World Class Customer Service.C-I-T | Manufacturing Innovation. World Class Customer Service. An interview with CEO Kim Wuertemberger recently appeared in Construction In Focus Magazine. Wuertemberger discusses the history of CIT, the products CIT offers and the company today. You can read the interview below. The following was originally printed in Construction In Focus Magazine. CIT lets you see the future NOW! Kim Wuertemberger started CIT 30 years ago in 1987 with a burning desire to give his very best. Whether it has been adding new technologically, advanced machinery, hiring the most talented people possible, identifying and delivering what customers are looking for, Kim and CIT have unwaveringly pursued a vision of even greater customer satisfaction. Q: Tell us a little about the company, a brief history of CIT and an overview of your business today. A: I started the business in 1987 in Dayton Ohio as a small tool shop, a “garage” operation with two people. A few years later I moved the business to my home city of Richmond, Indiana to cut down on my drive time and increase my actual work time. In 1997, I decided I needed some additional help so I brought on a partner as Vice President with a vision for expansion into the returnable shipping rack business for automotive. This move started our advancement into other areas and today we are a full blown Contract Manufacturer of many products. Q: Tell us about the company’s products. 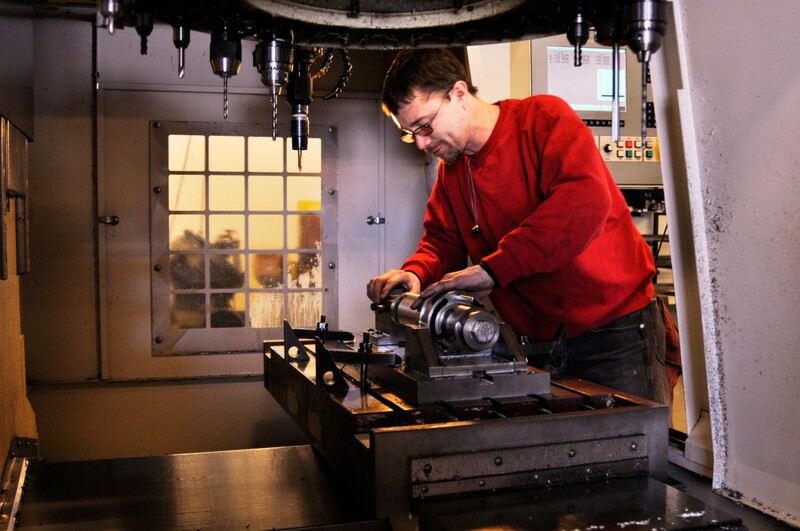 A: We still have our own in-house tool shop but we utilize all of its capacity for our own needs. We design and manufacturer customer Cab solutions for OEM equipment manufacturers. This includes Cabs for the Industrial, Construction and Material Handling industries. Our first large production product was returnable steel shipping racks and containers for the automotive industry. CIT has become known for our ability to be very successful at producing the most complicated of shipping racks. The newest product that we produce are hydraulic lift gate components for the second largest lift gate manufacturer in the world. CIT also produces medical therapy tables for the physical therapy market and ship them all over the world. Lastly we do tooling (engine shipping containers) for the Aerospace industry, so you can see that we have become extremely diversified over the years. We are constantly looking to expand our opportunities with our current customers as well as expanding into new markets. Q: How can our readers find out more about your company? A: Call us, we love to talk to folks about their needs and how we can help them. You can also visit our website, www.c-i-t.com or even better stop by our booth at ConExpo, C22621 and meet us face to face. Please come by, we can show you the future!